Like many martial arts the russian martial arts were developed upon ancient battle fields by warriors of the past. The russian martial art of Systema dates back to the 10th century, the Cossack warrior developed the Systema fighting style to defend their massive country of Mother Russia against invaders originating from all points of the compass. These battles were fought on many different terrains against many different fighting styles and just as many different and distinct weapons. 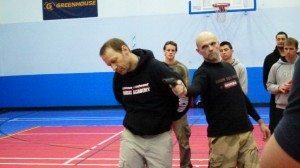 Fighting to defend their home land, regularly facing superior numbers in merciless winters and scorching summers, the russian Systema warriors acquired the skills that would become the unique fighting system we now know today as Systema. These skills were the combination of resilient spirit, resourceful and innovative fighting tactics that proved to be effective, practical and lethal against all enemies under any conditions. Russian Systema was a free fighting style, having no fixed or rigid training regime, no rules or limitations (except those of morality) every move, every strike, every strategy was based on natural and instinctive reactions. Systema was unique to the warrior’s own strengths and characteristics, and was designed for accelerated learning, so the warrior would become combat effective over a very short period. The Russian revolution in 1917 brought the Communists to power, this lead to the wholesale suppression of all traditions. The old story of martial art fighting styles needing to go “under ground” to survive the oppression of those in power once again became necessary. Protected by the priests of the Russian Orthodox Church at the risk of being severely punished. It was not long though before the authorities realised the true value of this ancient russian martial art. Systema was taken to the very heart of the russian military. This devastating fighting system was reserved only to be taught to the elite, the special operations units, the Spetsnaz. Mikhail Rabko chief instructor of Systema Headquarters, Moscow, Russia and Vladimir Vasiliev director and chief instructor of Systema Headquarters, Toronto, Canada, both honed their skills in the battle fields of modern russian combat. Systema is called Systema for a reason, it uses the complete system of the body covering Physical fitness, Spiritual fitness, Mental fitness, Emotional fitness and Perceptual fitness. 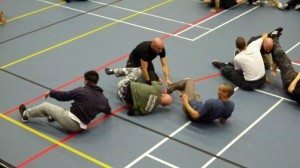 The key principal to russian Systema is non destruction, you ensure no damage is done to your training partner or to yourself. Systema is designed to not only find strengths, but also to expose weaknesses and limitations. By training in the russian martial arts these weakness and limitations can be faced, accepted and overcome. Systema has another name “poznai sebia” or “know yourself”. If we cannot face our own frailties, if we are blinded by our own pride, Systema opens our eyes to the truth and helps us achieve true spirit that results from the humility and transparency of seeing the purpose of our life.